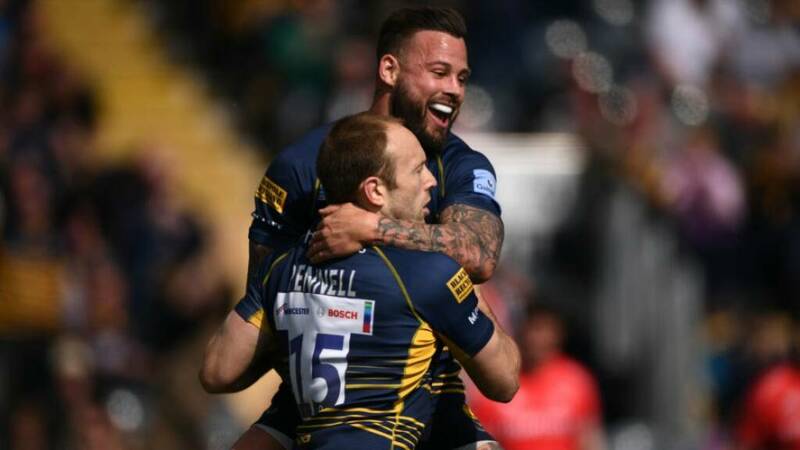 Worcester Warriors moved seven points clear of Newcastle Falcons at the of Gallagher Premiership Rugby with this brilliant display at Sixways. Josh Adams grabbed a second-half hat-trick for the Warriors who had far too much for Sale Sharks on the day. The win ends a three-year wait for a victory over Sale Sharks while Steve Diamond’s side’s away day struggles continue. Duncan Weir pulled the strings impressively at fly-half, and Sam Lewis and Marco Mama were everywhere in the back row. But Josh Adams, in his final season at Sixways, bagged a second-half hat-trick and the Sharks had no answer for him. Adams fell on Michael Heaney’s cute little kick through at the death to complete an amazing hat-trick of tries in the left corner. That was the fifth try of five-star performance from the Warriors on probably their best outing of the season. Bryce Heem has been such a key addition for the Warriors over the last couple of seasons and it was his deft offload that created Chris Pennell’s first-half try that stretched the Warriors’ lead. But the Warriors really hit their stride in the second half and the backline cleverly manoeuvred space for Adams out wide and Wales’ Grand Slam hero did the rest. “We knew we’d let ourselves down against Wasps last week and I knew we’d play well, from the moment we turned up to training on Monday. “I’ve always said that, if we can play to the best of our ability we’re a match for anyone in this league and we were in the right frame of mind right from the off. Josh Adams is a class player, we saw that in the Six Nations. “We were beaten by the better side. They were desperate for a win and they were better than us in every aspect of the game. “If we win our two home games then we’ll be in Europe but we need to turn up better than we did here.